PaSoRi (modal RC-S320/S and RC-S310) is an external USB FeliCa smartcard reader and writer. FeliCa (Felicity Card) contactless RFID IC chip smart card system by Sony which used primarily as electronic money cards. Example of FeliCa card usage includes transit tickets such as Octopus Card in Hong Kong, ez-link Card in Singapore, TRAVEL Card in India, Shenzhen Tong TransCard in China, Metro Card in Thailand and all major transportation networks in Japan such as Suica, PASMO, NicoPa, TOICA, Kitaca, ICOCA and PiTaPa. Lately the FeliCa IC has also been embedded and integrated with mobile phone to become wallet phones, such as “Osaifu-Keitai” and marketed by NTT DoCoMo, KDDI and Softbank Mobile in Japan and NFC (Near Field Communication) phone trial currently running in Singapore by StarHub and ez-link Online. FeliCa is also been used as ID card, membership card, e-ticket for season ticketing, boarding pass for ANA Airlines’ SKiP Service and JAL’s IC Check-in Service, multi functions card which combines ATM, credit and debit facilities such as Japan Post Bank Yucho IC Cash Card and Bank of Tokyo-Mitsubishi UFJ Super IC Card, e-Money or electronic pulse to pay for purchases online or offline, and security access control. To use FeliCa-based card to do transaction such as shopping and downloading pay-to-view games and other contents using “Edy” service in Sony PlayStation 3 (PS3), and make payment online, a PaSoRi reader/writer plugged into USB port of computer, or a PC and laptop/notebook with embedded FeliCa port is required. With PaSoRi users able to access on services such as checking card money value, obtaining transactions history statements, or conduct top-ups online via Internet, or simply read the card data offline in supported viewer. However, the driver for PaSoRi only supports Windows 98, 98 Second Edition (SE), Millennium Edition (ME), 2000, XP Home and XP Professional. PaSoRi driver that comes with CD or downloads from Sony does not support Windows Vista and Windows 7. If you attempt to run the setup installer to install the driver for the card reader, the following critical error message will appear. This Software does not support the OS currently use. Installation will be aborted. Here’s an easy workaround to install the USB driver for PaSori in Windows Vista and Windows 7. If you do not have the Sony PaSoRi driver CD or files, download the latest PaSoRi driver (Pasori_Driver.zip)from Sony website. Unzip the zip package if you download the PaSoRi driver, and then browse to the extracted folder to locate setup.exe. Else if you’re using a driver CD, locate the setup.exe on the CD. Right click on the setup.exe, and select Properties on the right click contextual menu. 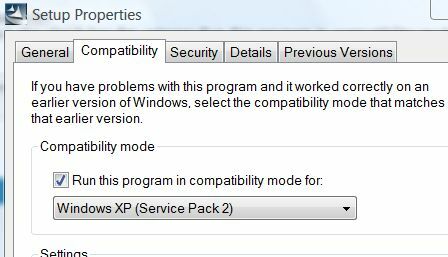 Under the “Compatibility Mode” section, tick the check box for Run this program in compatibility mode for option. In the drop down list, select Windows XP (Service Pack 2). Click OK to exit from Properties window. Run the setup.exe again to install PaSoRi driver in Windows Vista. The setup allows you to continue to install the driver this time. Insert and plug in the PaSoRi into computer’s USB port.